Allscripts plans to integrate HealthGrid’s functionality into their FollowMyHealth platform. 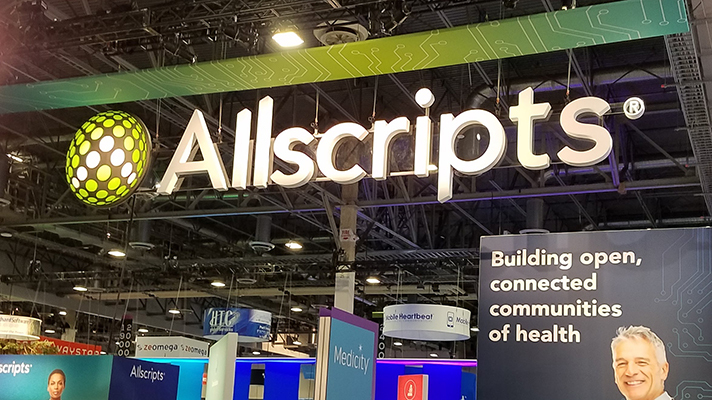 EHR vendor Allscripts has made an agreement to purchase patient communication app maker HealthGrid for $60 million in cash, with an additional $50 million in earn-out payments based on HealthGrid achieving certain revenue targets over the next three years, according to a recently registered SEC filing. The merger of the two companies is expected to close sometime during Q2 2018. HealthGrid is a mobile app platform that delivers care and education materials traditionally distributed from practices to patients via paper. For example, an electronic discharge document provided when a patient walks out the door could include appointment reminders, educational videos, or even updates for parents on where their child is within the hospital at a given time, Ed Martinez, SVP and chief information officer with Nicklaus Children's Health System and HealthGrid customer, explained to MobiHealthNews back in March. Allscripts hasn’t shied away from M&A opportunities lately. In October the company announced the acquisition of McKesson's Enterprise Information Solutions business, which Poulton said was progressing well during the earnings call. A few months later, Allscripts also announced an agreement to acquire another EHR, Practice Fusion, and according to Poulton is currently in the process of integrating it with the payer and life science business unit. On the other hand, Allscripts also closed on a divestment agreement with Hyland Software that unloaded its OneContent offering and returned $260 million. Poulton said that the company’s leadership is happy with its recent moves across the EHR market, and was optimistic about what its most recent acquisition will be bringing to the table. Allscripts’ quarterly report also included strong gains for the company, including a 24 percent increase in GAAP revenue and $304 million in bookings (up from $286 million during the same time last year). Correction: This story was updated to clarify Ed Martinez is the SVP and chief information officer with Nicklaus Children's Health System. Raj Toleti is the CEO of HealthGrid.